Recognizing the destination development value to Frederick County derived from the implementation of the Main Street Maryland program within the county’s municipalities, Frederick County government (County) and the Tourism Council of Frederick County, Inc. (Tourism) established the Frederick County Main Street Communities Cooperative Fund. The Main Street Maryland program strives to strengthen the economic potential of traditional main streets and neighborhoods. The program provides designated communities with support for economic planning, marketing and promotion, training and education. Established through a Memorandum of Understanding between the County and Tourism, the Frederick County Main Street Communities Cooperative Fund (Fund) provides a formula driven allocation of a portion of the Frederick County Hotel Rental Tax proceeds to State designated Main Street Maryland communities whose Main Street boundaries are within Frederick County. 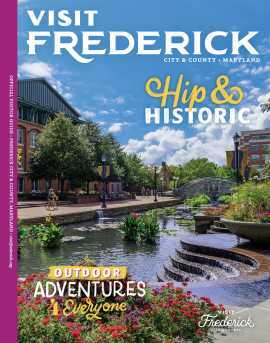 The funds may be used for developing and promoting the Main Street program, with at least half of the amount received over 12 months used for marketing the Main Street outside of Frederick County. State designated Main Street programs may apply to receive a portion of this fund by submitting figures representing actual public and private monetary support of their community’s Main Street program for the preceding fiscal year. The figures for each applying Main Street are combined and each program’s percentage of the total is calculated. In addition, there are funds set aside to provide support to Main Street Maryland Affiliates which may be accessed by a community that is accepted by Department of Housing and Community Development (DHCD) as an Affiliate within Frederick County. Funds may be used for limited purposes such as market studies and research that would be useful in potentially establishing a Main Street program, attending state and national Main Street conferences, seminars, etc. and other expenditures deemed appropriate through collaboration with DHCD and Tourism. Funds set aside for Affiliates that have not been encumbered by the beginning of the fourth quarter of a fiscal year will be made available to the Designated Main Streets within Frederick County for use by two or more of them in collaborative marketing or development initiatives, to be determined by the county’s Designated Main Streets in coordination with the Frederick County Office of Economic Development.